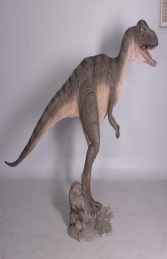 This Allosaurus looking straight model is ideal for use with our other models in the dinosaur range to give a real pre-historic feel to any Jurassic display area. 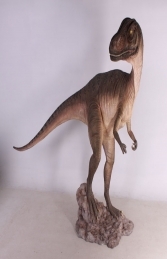 This amazing life-size Allosaurus looking straight model will make a huge impact and attract public attention in any themed Dinosaur area. 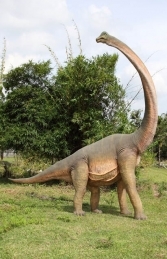 It would be ideal to make the centre-piece of a pre-historic display with our range of large dinosaur models. 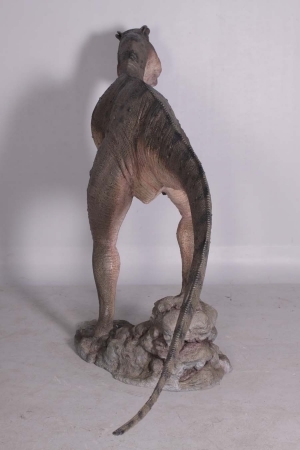 It can be used in any themed area or in shops, businesses, pubs, restaurants, coffee shops, adventure golf courses, zoos, theme-parks or even in your own home. 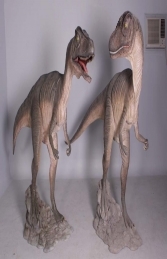 Why not pair him up with the Allosaurus Looking Back (JR 090071) or the Brachiosaurus Twisted Neck (JR 100061).